Health humanities faculty at times voice concerns that elective humanities courses reach only students who are already compassionate, empathetic, and self-aware when they choose these courses. However, by assuming we are “preaching to the choir,” we reinforce misperceptions of these courses as “soft” and non-rigorous, courses for the heart, not the mind. When students perform close readings or write narratives, for example, they develop a deeper understanding of how stories are constructed, a greater awareness of metaphor and symbol, and a better sense of how a teller’s identity and motives shape the narrative, skills that make them more effective clinicians.1-3 By entering others’ stories, students can challenge their own biases and assumptions about stigmatized or marginalized groups, engage their moral and narrative imaginations, and experience ethical challenges vicariously through characters.3,4 Ideally, then, health humanities courses challenge students to consider the limits of their compassion, empathy, and awareness because they urge students to reflect upon and think critically about preconceived notions they have of themselves, their patients, their professions, and the professions of others. A limited number of articles in the literature describe initiatives using humanities approaches in IP education 7, 9-20 or offer practical teaching strategies for those seeking to develop IP humanities courses or initiatives. In this paper, faculty of the Medical University of South Carolina’s Center for Academic Excellence/Writing Center, who have taught IP humanities courses for over 8 years, describe four strategies we have used in our teaching to encourage students to learn actively and cooperatively, build shared authority, and develop greater appreciation for multiple viewpoints, particularly patient perspectives. We also provide a brief overview of one course and student perceptions of how that course impacted their understanding of other professions. Our purpose is to provide strategies that other teachers can use to design health humanities courses that aim to foster the development of collaborative knowledge, attitudes, and skills. Student-led discussions and team-based learning have been a cornerstone of our IP humanities courses because these strategies require students to be active learners and, moreover, to cooperate and collaborate to build meaning. Cognitive science has established that active engagement is a key aspect of student learning.21-24 As former cognitive psychologist and Nobel Laureate Herbert A. Simon noted, “Learning results from what the student does and thinks and only from what the student does and thinks. The teacher can advance learning only by influencing what the student does to learn.”22 (p1) Discussion-based courses require students to take a leadership role in those discussions, and to acknowledge other students in leadership roles. This design distributes authority across all group members, including teachers, eliminating the authoritarian model in which the teacher, serving as the source of information, delivers content to students instead of fostering an environment where students are encouraged to explore, evaluate, and create—to build their own meaning.25 Discussion also encourages the autonomy and learner “input” valued by adult learners, who want to be involved in the instruction process.26(p129) However, because even adult learners require appropriate levels of supervision,26 before students can lead, they should be given the tools to do so—in this case, a brief introduction into the relevant field of study. In the health humanities classroom, students may need to be introduced to (or reminded of) appropriate and constructive ways of responding to materials they read, write, view or otherwise engage. In literature and film courses, for instance, students can be given an overview of the vocabulary used to discuss literary texts or films (e.g., tone, diction, style, line breaks, staging, lighting, point of view, character). Rita Charon, for example, offers one method of performing a close reading of literature with students, a sequential process through which students investigate “frame, form, time, plot, and desire.”1( p114) Once a method is offered to students, for the first couple of class sessions, teachers can model the method by guiding discussion, asking probing questions, and encouraging open dialogue. A poem like Donald Hall’s “The Ship Pounding,”27 for instance, can be used to teach students how to “talk about” poetry. Told from the perspective of a husband visiting his sick wife in the hospital, the poem is accessible because it conveys a narrative using fairly straightforward diction, or word choice. To get students accustomed to performing close reading, teachers can use Charon’s method, or a similar one, to familiarize students with various elements that should be considered. For “The Ship Pounding,” a teacher might start by asking the class to establish the narrative: “What’s the story and how do you know? Provide evidence to support your claim.” In establishing the narrative, students can be prompted to delve into metaphor—“Why does the speaker use the analogy of a ship pounding? Why use metaphor at all? What is metaphor?” As the discussion continues, the use of other literary devices can be discussed—“Why does the poet break the line here? In what ways does that force a pause that enhances meaning? Why does he repeat the word “without” at the end of the poem? How does that contribute to the overall meaning of the poem?” By the end of the discussion, students may not be experts, but they get a sense of what to look for when analyzing a poem, and terms like imagery, metaphor, and diction become tools for future literary explications and discussions. A limitation to this type of modeling is that, at times, health professions faculty may have limited expertise in humanities disciplines, just as a teacher with expertise in literature may not be trained to lead visual arts analysis exercises. To address this limitation, course directors should attempt to collaborate with arts and humanities faculty who can model for students the appropriate way to approach the genres they encounter in the course. Responses to end-of-course Likert scale surveys we have conducted between 2007-2014 indicated that 90.9% of students valued the inclusion of humanities faculty as course leaders, more than the 81.82% who valued the inclusion of various clinical faculty. Students can also be given the option to complete a collaborative end-of-course project. In these presentations, students elaborate on a theme previously introduced in class or introduce a new theme not yet discussed. For example, in a literature and medicine or film course, students might show a series of brief clips from film or television that revolve around a theme (eg., ethics and mental health care, the evolution of the prime time medical television series, the provider-patient relationship, delivering bad news), make short films about empathy and effective communication, analyze health care marketing strategies, or teach a sample class on the place of humor in medicine. One year, a group of students made a film about health care communication using an iPhone. Students acted out the parts of providers who used language above a patient’s health literacy level, patients who were scared to admit they didn’t understand, and effective communicators who stepped in to “translate” medical jargon into plain language. After screening the film for the class, students facilitated a brief discussion about health care communication and literacy. Like this presentation, all presentations should be interactive, with a goal of sparking discussion. This type of cooperative learning prompts students to engage skills, knowledge and attitudes across the collaborative competency constructs of collaboration, communication, and values and ethics as described by the Interprofessional Education Collaborative.5 Students have opportunities to listen to others and reflect upon their own positions; practice sharing information effectively; give and receive feedback; engage diverse opinions and communication styles; and contribute to decision-making at various levels. Moreover, they do so while studying humanities content that explores topics surrounding important issues like social determinants of health, patient autonomy, delivering bad news, and death and dying—areas of study important to patient-centered practice. The interactive qualities of this discussion-based, group-work model can facilitate more effective learning and allow students to work on projects in which a hierarchy is developed rather than assumed because the vast majority of our students approach humanities-based material as novices in that discipline. We have observed at times how students allow the group member with the most expertise in humanities to lead their team. In the film group described previously, for example, a medical student with a background in film studies and a nursing student who had writing talent both took leadership roles. Our confidence in these examples is limited by the fact that in the first several years these courses were populated primarily by medical students, with one or two nursing, pharmacy, or dental students attending each semester as well. When outnumbered by members of another profession, students may refrain from expressing opinions or assuming leadership roles. In fact, a real risk of group work is that given the right (or wrong) circumstances, hierarchies may be reinforced. A notable risk surrounds medical students, who are socialized as early as the application to medical school process to perceive themselves as “academically elite”.28( p 41) Even medical students who begin training open to collaboration are often socialized during the educational process to assume roles and adopt attitudes that limit collaboration.28 To ward against barriers like this, teachers can distribute leadership across group members using strategies like those outlined by Barkley, Cross, and Major25 to develop specific types of groups (homogenous or heterogenous, formal or informal) and assign roles that cut against stereotypical hierarchies. Like their students, many health care professionals may not be experts in the humanities; however, they are professional role models for students and their endorsement of the humanities can have a vital impact on student “buy-in,” or their willingness to see the humanities as relevant to their studies and their future work. This “buy-in” is essential because student attitudes and motivations toward material influence their learning22; therefore, faculty members from various colleges can be invited to join course discussions related to their expertise. A physical therapist and occupational therapist provide complementary viewpoints about the value of music therapy during a discussion of the film Alive Inside. A nurse-educator shares her expertise about dementia during a discussion of Alice Munro’s short story “The Bear Went over the Mountain” and Kelly Cherry’s poem “Alzheimer’s.” A pharmacist tells nursing, pharmacy, and medical students about his experiences with creative writing. A chaplain discusses the role reflective writing plays in her self-care. A gynecological-oncologist urges students to remember the importance of personalized care during a class analysis of the film Wit. In these various cases, students observe their role models engaging the humanities as opportunities to learn and are encouraged to do the same. On an interprofessional level, when students interact with faculty from various professions, they theoretically broaden their understanding of, and respect for, other professions. The nurse educator who joined us for the discussion of dementia and Alzheimer’s, for instance, had many years of experience working with this population, and conducting research related to aging. Thanks to her expertise, students not only learned more about the care of these patients but also learned that nurses—particularly PhDs and nurse practitioners—actively engage in rigorous research and practice improvement projects. This increased awareness counters stereotypes about nurses that have traditionally been relegated to a lower rank on the professional hierarchy. By including interprofessional faculty members in humanities classroom, teachers can also facilitate the discussions about “power and conflict” that Paradis and Whitehead have found missing from interprofessional education.29 Physicians who have joined our discussion of the film Wit over the years were able to ask our medical, dental, and nursing students difficult questions about professional roles without alienating medical students. Medical students heard these physicians acknowledge the importance of the nurse’s role in the film while also evaluating, even criticizing, the physician’s behavior. Because these criticisms of the physician-character came from one of their professional role models, medical students did not take a defensive pose that could serve as a barrier to their learning. In a general sense, when students learn “with, from, and about”30(para. 1) various professional role models and each other, they start to value others’ experiences as learning resources.26 Students become more competent to listen to and respect the needs and perspectives of “all parties” in the health care exchange, from other providers to patients and families.6(p 2) They have increased “awareness [of] and openness”5 to other professions and their roles and a chance to debunk stereotypes. If the participation of IP faculty enhances students’ empathy for other professionals, the incorporation of patient-centered narratives and narratives of diversity further challenges students’ notions of self and other. As Tsevat, Anoushka, Gutierrez, and DasGupta have noted, health humanities classrooms are “diverse spaces” in which it is important to “destabilize traditional hierarchies that could otherwise silence or oppress those students who are most vulnerable or ‘othered’ because of their race, gender, sexuality, nationality, and/or class.” 31(p2) Tsevat et al. recommend, for example, that of three “pedagogical pillars” to make the classroom safe for all members: “narrative humility (an awareness of one’s prejudices, expectations, and frames of listening), structural competency (attention to sources of power and privilege), and engaged pedagogy (the protection of students’ security and well-being)”.31(p2) These pillars are doubly important in the health humanities classroom, where students may enter training having internalized biases not only about other cultures, races, and socio-economic groups, but about professions and their status. In the IP humanities classroom, it is important to avoid creating or reinforcing hierarchies based on profession when selecting course materials. For instance, at present the majority of published health care-themed, provider-written narratives are by physicians and nurses, but asking a group of interprofessional students to read narratives predominantly from the perspectives of doctors and nurses is counterintuitive to IP goals. By teaching narratives that place the patient at the center of the story, teachers can avoid privileging one profession over another and promote the idea of patient-centered care.32 These narratives should include literary pieces that have a more tangential, less obvious connection to health care but feature individuals struggling with issues related to physical and mental health—autobiographical narratives like Alice Walker’s “Beauty: When the Other Dancer is Self,” David Sedaris’ “Go Carolina”32, Lars Eighner’s Travels with Lizbeth, Sucheng Chan’s “You’re Short, Besides!” and Jean-Dominique Bauby’s The Diving Bell and the Butterfly (Cynthia Dodds, oral communication, January 2016) are examples. These examples also represent a diversity of voices, including those of marginalized and stigmatized groups, whose narratives students hear first-hand, instead of filtered through the perspective of a particular provider. While students in the literature and film course do not necessarily pursue publication, they do, at times, produce short reflective pieces at the beginning and/or end of select classes; reflective prompts that open class meetings are designed to engage students’ prior knowledge, while those completed at the end of class periods urge students to apply lessons learned that day to future clinical practice. During the first years the course was offered, students were also required to write a 3-5 page paper describing a clinical experience during training, sharing a personal illness experience, or analyzing a short story, essay, or poem. All of these assignments were designed to foster reflection, critical thinking, analysis, and self-awareness. This writing requirement later became optional, as we wanted to provide students the option to work on team-based projects, giving them additional opportunities for interprofessional collaborations. However, because both papers and team projects had to be presented to the class, students were required to engage interprofessionally regardless of the final assignment they elected to complete. The IP humanities class “Health Care and the Humanities” was offered for several years in a row in spring semester when it was most convenient to fourth-year medical students. One year, we offered the course in the fall to see if that made it more available to students of other professions. This schedule change resulted in a smaller class size, but the class had a more diverse make-up. Two pharmacy, three nursing, and one medicine student took the course; a nursing faculty member audited the course as well. The course was designed using the strategies described in the previous sections of this paper. Over 12 weeks, we primarily read and discussed literature, viewed and discussed films, and observed and responded to visual art pieces. Students also completed reflective writing and, for a final assignment, wrote an essay about a clinical experience that had a significant impact on them. They read their essays to the class and the class discussed them, drawing comparisons to other student narratives and to works we had read previously in the semester. At the end of the semester, students completed open-ended reflections about the course. One prompt asked them to discuss in what ways (if any) they perceived the course contributed to their ability to engage in interprofessional collaborations in future practice. Their responses indicated that they valued the opportunity to read and discuss literature with students of other professions and that they felt educated about other professions by listening to students share narratives about their clinical work. A few excerpts are provided. These narratives and the discussion-based design of the course helped refute professional stereotypes, improved role understanding, and reminded students of their common bonds. “I think this [course] is a valuable way to compare and contrast each other’s professions. Many of us share the same frustrations and the material we read reinforced that. It was a little bit therapeutic. Also, since so many people are caring for any given patient at one time, it will be of great importance to communicate and make it easier on each other. And to help each other see the patient as a person. As these responses show, students believed they had gained increased awareness and knowledge about other professions that lay the groundwork for empathy and collaboration. As the final student’s response indicates, at least one student was able to envision how these increases could contribute to patient-centered care. In the future, we hope to survey a larger, more diverse group of students and analyze the results using textual analysis software. Interprofessional courses in the humanities have the unique potential to help create bridges among college silos at academic health science centers. The health humanities classroom can offer a safe, inclusive space for engaging the humanities with the goal of developing narrative competence while also teaching established IP competencies. Future research is needed to assess the efficacy of various teaching strategies on specific IP competencies. By using best practices in teaching informed by educational theory and pedagogy as well as theories of narrative health care, health humanities faculty can facilitate the shift toward team-based models of care and foster empathy, compassion, and effective communication to enhance patient outcomes, the ultimate goal of interprofessional missions. Charon R. Narrative Medicine: Honoring the Stories of Illness. New York: Oxford University Press; 2006. DasGupta S, Charon, R. Personal illness narratives: using reflective writing to teach empathy. Acad Med. 2004; 79 (4): 351-256. Engel JD, Zarconi J, Pethtel L, Missimi S. Narrative in Health Care: Healing Patients, Practitioners, Profession, and Community. United Kingdom: Radcliffe; 2008. Nussbaum, M. Cultivating Humanity: A Classical Defense of Reform in Liberal Education. Cambridge, Massachusetts, and London: Harvard University Press; 1997. Interprofessional Education Collaborative Expert Panel. Core competencies for interprofessional collaborative practice: Report of an expert panel. Washington, D.C.: Interprofessional Education Collaborative; 2011. Canadian Interprofessional Health Collaborative. CIHC nation interprofessional competency framework. February 2010. http://www.cihc.ca/files/CIHC_IPCompetenciesShort_Feb1210.pdf. Accessed September 14, 2014. Suter E, Arndt J, Arthur N, Parboosingh J, Taylor E, Deutschlander S. Role understanding and effective communication as core competencies for collaborative practice. J Interprof Care. 2009; 23 (1): 41-51. Walsh M, van Soeren M. Interprofessional learning and virtual communities: an opportunity for the future. J Interprof Care. 2012; 26: 43-48. Brajtman S, Hall P, Barnes P. Enhancing interprofessional education in end-of-life care: an interdisciplinary exploration of death and dying in literature. J Palliative Care. 2009; 25 (2):125-131. Campion-Smith C, Helen A, Criswick S, Dowling B, Francis G. Can sharing stories change practice? A qualitative study of an interprofessional narrative-based palliative care course. J Interprof Care. 2011; 25 (2): 105-111. Charon, R. Our heads touch: telling and listening to stories of self. Academic Medicine. 2012; 87:1154-1156. Clark PG. Narrative in interprofessional education and practice: implications for professional identity, provider-patient communication and teamwork. J Inteprof Care. 2014; 28 (1): 34-39. Dellasega C, Milone-Nuzzo P, Curci KM, Ballard JO, Kirch DG. The humanities interface of nursing and medicine. J Prof Nurs. 2007; 23 (3): 174-179. Donohoe M, Danielson S. A community-based approach to the medical humanities. Med Ed. 2004; 38: 204-217. Glover J, Lynn J, Howe E, McCullough L, Secundy M, Yiede H. A model for interschool teaching of humanities during clinical training. J Med Ed. 1984; 54: 759-765. Hall P, Weaver L, Fothergill-Bourbonnais F, et al. Interprofessional education in palliative care: a pilot project using popular literature. J Interprof Care. 2006; 20 (1): 51-59. Sands SA, Stanley P, Charon R. Pediatric narrative oncology: interprofessional training to promote empathy, build teams, and prevent burnout. J Support Oncol. 2008; 6: 307-312. Walsh C, Gordon F, Marshall M, Hunt T. Interprofessional capability: a developing framework for interprofessional education. Nurse Education in Practice. 2005; 5 (4): 230-237. Bonwell CC, Eison JA. Active learning: creating excitement in the classroom (ASHE–ERIC Higher Education Rep. No. 1). Washington, DC: The George Washington University, School of Education and Human Development; 1991. Ambrose SA, Bridges MW, DiPietro M, Lovett MC, Norman, MK. How Learning Works: Seven Research-Based Principles for Smart Teaching. SanFrancisco, CA: Jossey Bass; 2010. Bransford JD, Brown AL, Cocking RR. How People Learn: Brain, Mind, Experience, and School. National Academy Press: Washington, DC; 2000. McKeachie WJ, Pintrich PR, Lin Y-G, Smith DA, Sharma R. Teaching and Learning in the College Classroom: A Review of the Research Literature. 2nd ed., University of Michigan, Ann Arbor, MI; 1990. Barkley E, Cross P, Major C. Collaborative Learning Techniques: A Handbook for College Faculty. San Francisco, CA: Jossey Bass; 2005. Bennett E, Blanchard R, Hinchey K. Applying Knowles’ andragogy to resident teaching. Acad Med. 2012; 87 (1): 129. Hall D. The ship pounding. In: New York. Houghton Mifflin Company; 1998. Whitehead C. The doctor dilemma in interprofessional education and care: how and why will physicians collaborate? Med Ed. 2007; 41:1010-1016. Paradis E, Whitehead C. Louder than words: power and conflict in interprofessional education articles, 1954-2013. Med Ed. 2015; 49: 399-407. Center for Advancement of Interprofessional Education. Defining IPE. [online definition]. 2002. http://www.caipe.org.uk/about-us/defining-ipe. Accessed September 15, 2014. Kerr, Lisa. My body, my world: illness and identity in Alice Walker’s “Beauty: when the other dancer is the self.” J Learn Arts. 2013; 9 (1). http://www.escholarship.org/uc/item/01d084hg. Accessed September 18, 2014. DasGupta S. Narrative humility. 2008; 371:980-1. Shapiro J, Kasman D, Shafer A. Words and wards: a model of reflective writing and its uses in medical education. J Med Hum. 2006; 227: 231-44. Myer DG. The Elephants Teach: Creative Writing Since 1880. Chicago: University of Chicago Press; 1996. Kuhl N. Personal therapeutic writing versus literary writing. In: Leahy A, ed. Power and Identity in the Creative Writing Classroom. Buffalo: Multilingual Matters; 2005. Derksen F, Bensin J, Lagro-Janssen A. Effectiveness of empathy in practice: a systematic review. Brit J of GenPrac. 2013; 63 (606): e76-e84. doi: 10.3399/bjgp13X660814. Kim SS, Kaplowitz S, Johnston MV. The effects of physician empathy on patient satisfaction and compliance. Evaluation and Health Professions. 2004; 27(3): 237-251. 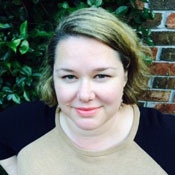 Lisa Kerr Dunn, PhD, is an associate professor at the Medical University of South Carolina, where she is a faculty member in the Writing Center and serves as chair of the University Humanities Committee. A scholar of American literature and a creative writer, she has published numerous creative and scholarly works. Most recently, she edited an anthology titled Mysterious Medicine: The Doctor-Scientist Tales of Hawthorne and Poe (Kent State University Press, 2016). A chapter book on Anna Hyatt Huntington and Brookgreen Gardens is due out from the Young Palmetto Books imprint of the University of South Carolina Press in 2017. Jennie Ariail, PhD, is Executive Director of Academic Enhancement at MUSC. She defines herself as teacher and the guiding principle of her teaching grows from the importance of affect on cognition. Her goal is to build relationships with students in order to help them achieve their definitions of success. Thomas G. Smith, PhD, is Associate Director of the Center for Academic Excellence/Writing Center at MUSC, where he teaches health professional and biomedical science students, postdoctoral fellows, faculty, and staff how to improve their writing skills and develop as lifelong learners. He has worked as a science writing teacher and learning specialist for 17 years and taught writing at the college level for 25 years. Shannon Richards-Slaughter earned her PhD in American Culture from the University of Michigan. She teaches at the Writing Center at the Medical University of South Carolina.